Product information "HAIX Airpower XR21"
The HAIX Airpower XR21 is a safety boot lined in imitation fur which guarantees warm feet, even if the winter weather outside is icy. A rugged-tread sole provides slip resistance as well as outstanding insulation against the cold. The slightly softer rubber compound used in its manufacture works in the same way as a winter tyre to offer maximum grip. Mud, snow and rain are unable to penetrate. 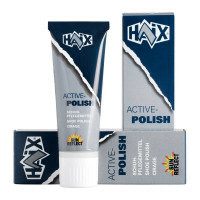 The leather of which the HAIX Airpower XR21 is made has been hydrophobised and, as a result, rendered water-repellent. At the same time, several layers of GORE-TEX® laminate mean that it is highly breathable. Dampness evaporates and is expelled, whilst a fast-drying fleece insole sole also helps to absorb sweat. Your feet will remain warm but dry all day long. Work boots designed for use by tradesmen and industrial workers need to be robust, stable and durable. The Airpower XR21 features a toe cap and a metal-free puncture protection. It combines safety with a high degree of comfort of wear. This is also a boot which adapts to the natural shape of your feet. There is a choice of three insoles ranging from narrow to wide to allow you to make individual adjustments. You will also find that the toes and balls of the feet have plenty of room at the front. No pressure points or blisters will occur, even after many hours of wear. The Airpower XR21 guarantees the right level of health and safety at work. It fulfils the requirements of Safety Class S3, which includes a protective toe cap to help prevent injury if heavy options such as tools or construction components should happen to fall on your feet. The toe cap out of glass fibre is made of a special reinforced composite and is substantially lighter than a conventional steel cap. The sole of the boot is both antistatic and puncture resistant. This shields your feet against sharp and pointed objects such as nails, shards of glass and stones. It is also resistant against petrol, oil and other hazardous materials. If you work outside during the winter, you will often find yourself moving across icy terrain. You need a safety boot that will give a stable grip on various surface, and this is precisely what the particularly abrasion-resistant and anti-slip outsole of the Airpower XR21 provides. The Airpower XR21 features HAIX’s specially developed Climate System, which uses the pumping movements generated as you walk along to transport dampness to openings placed at the shaft and the tongue. This provides maximum climate comfort. A fast-drying special inlay and a fleece insole also absorb sweat. The sole of the boot gives outstanding insulation against the heat and cold to ensure that your feet will not freeze in winter. An imitation fur lining delivers additional warmth. The HAIX Airpower XR21 is manufactured in high quality bull leather, which has also been hydrophobised. This chemical treatment makes the material waterproof. Special pigments in the upper reflect the sun’s strong rays, so that less warmth is transported to your feet. An additional rubber cap provides reinforcement at the tip to help avoid wear and tear to the leather. Practical light lacing elements mean that the boot is easy to fasten. Four-ply GORE-TEX® material makes the Airpower XR21 both waterproof and highly breathable. Moisture cannot penetrate. At the same time, sweat is able to evaporate and be expelled. An imitation fur lining will keep your feet warm during winter. A fast-drying fleece insole and an anatomically formed inlay combine to absorb sweat and keep your feet pleasantly dry. The inlay may be removed and washed if required. The fleece used in the lining is particularly abrasion resistant and gives maximum climate comfort. The toe cap of the boot will prevent injuries that may potentially be caused by falling objects and has the added benefit of being especially light. A narrow heel and ankle area ensures good toe-to-heel movement and provides stability, whilst a soft cuff at the shaft stops any rubbing from the rear. Three different inlay soles are available to allow you to adjust the width of the shoe to suit your own individual needs. These can be removed and washed if required. The Airpower XR21 is shipped with the red inlay (medium) as standard. Additional Vario Fit inlay soles can be ordered. The sole of the Airpower XR21 is slip-resistant and will provide a firm foothold on icy or wet ground. It offers outstanding insulation against the cold and against heat up to a temperature of 300 °C. The sole is also resistant against petrol and oil. In addition, the fact that it is colour fast means that you will not leave any black marks on light-coloured floors or tiles. An integrated impact-absorbing PU wedge cushions your steps as you go and decreases pressure on the joints and spine. The HAIX Airpower XR21 is the ideal winter boot for industrial workers and tradesmen. Highly breathable, it also features a cosy imitation fur lining. Whilst you are out at work, your feet will remain warm. The boot’s fleece insole also helps to absorb moisture. The leather used in the manufacture of the Airpower XR21 has been hydrophobised, so that it is waterproof. A toe cap makes an important contribution to health and safety at work by preventing injury. The anti-slip sole of the boot is resistant to petrol. 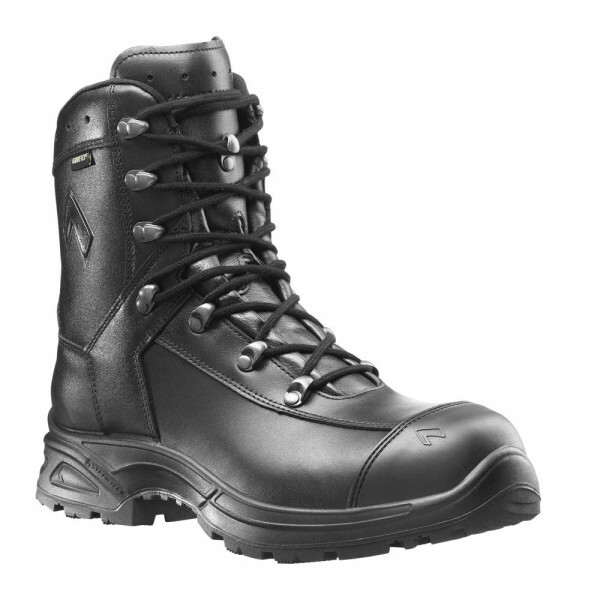 Discover the advantages of the HAIX Airpower XR21 winter safety boot for yourself!